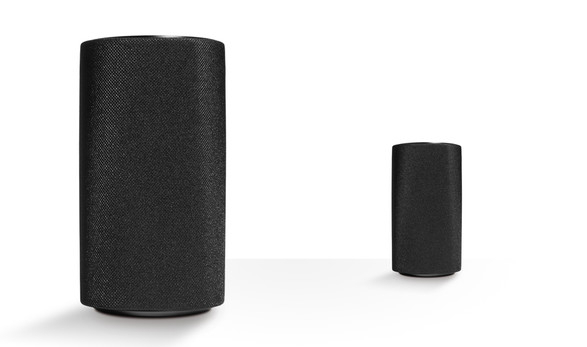 The Loewe klang 1 speaker provides a perfect audio experience for all kinds of sound. The tones are defined and crisp. Even speech is incredibly clear because the output is so finely balanced. Whether loud or very quiet. In a corner on the floor or up on a cabinet. 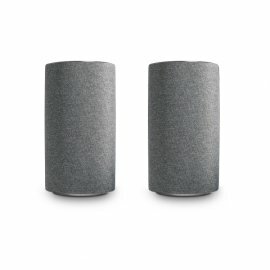 Loewe klang 1 speakers, in a sleek black, graphite grey or light grey finish, blend elegantly into any interior – thanks to the high-quality seamless fabric and multiple placement options. Even the cables are covered in fabric. Two full-range speakers combine to fill the room with 120 Watts of breathtaking music power. As varied as life itself. A high-quality stainless steel stand with concealed cable management within the post is available for a free-standing option. 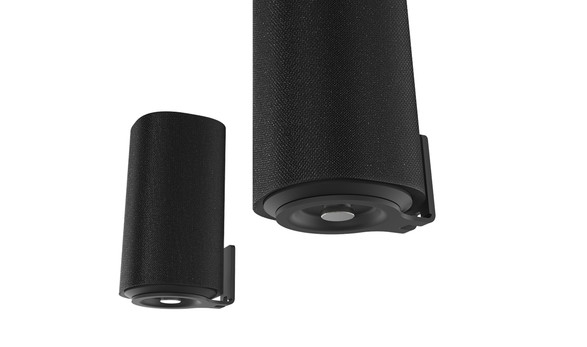 It also provides space to elegantly conceal speaker cables that are too long, within the base plate. 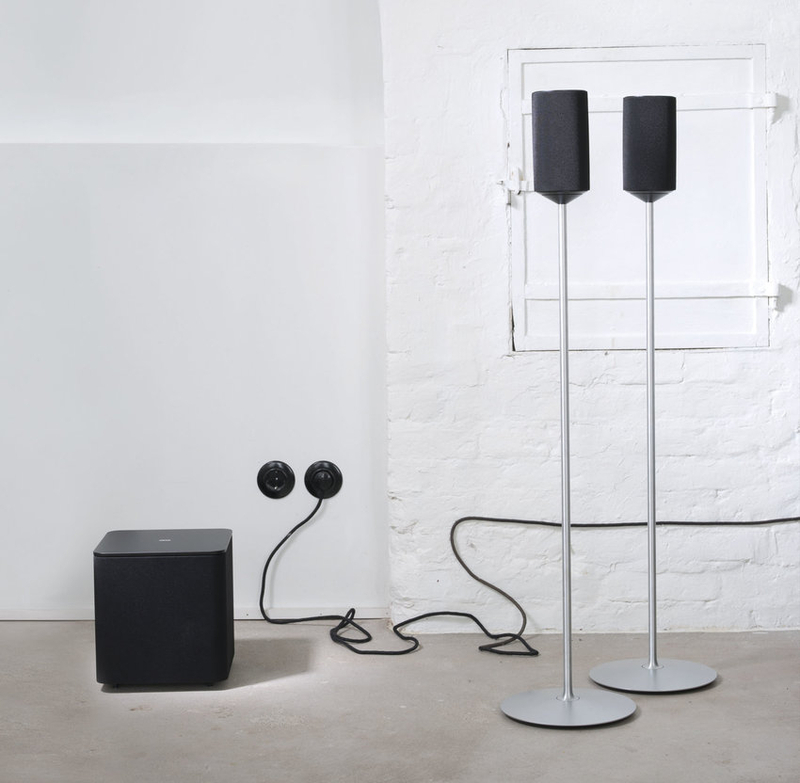 The Loewe klang 1 speakers and subwoofer also work without a TV set or audio system: notebooks, smartphones and other music sources can be connected directly via line-in. Enjoy the best sound quality without any additional AV components. 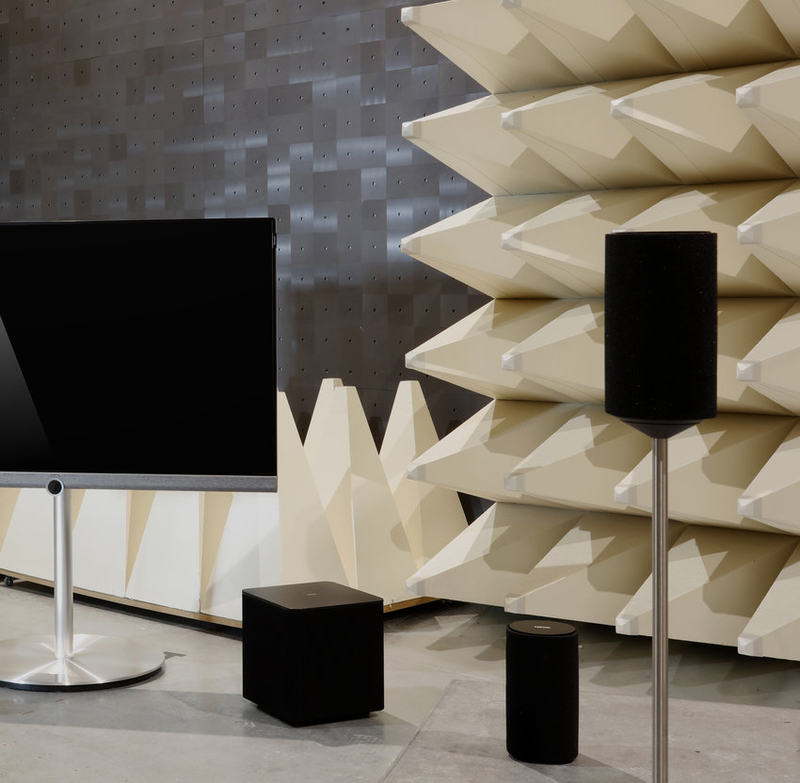 Loewe TV sets harmonise perfectly with Loewe speakers and subwoofers. They take on the role of the centre speaker and provide access to music streaming portals such as TIDAL as well as to more than 30,000 Internet radio stations. Whether a 3.1 stereo system with two speakers and a subwoofer or a 5.2 surround sound with five speakers and two subwoofers – it's so easy to expand your home cinema system. Butterflies in your stomach. Anyone who wants to feel what they are experiencing on screen: four klang 1 speakers, two klang 1 subwoofers and the TV speaker as the centre speaker transform every living room into a cinema with surround sound. Quick and easy to mount. The wall mount fixing is invisible thanks to the magnetic cover. 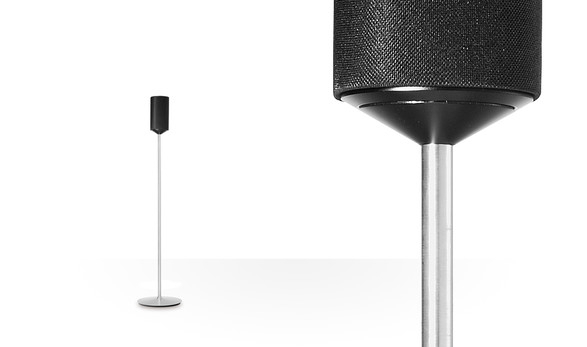 Speakers can be easily rotated and adjusted as desired.